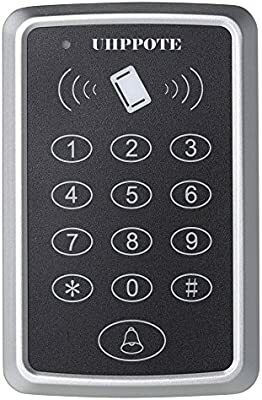 Hi - I really really really want to use the Iris keypad outside to control my garage doors/door locks and enable/disable SHM (through the use of the @RBoy apps) so I am wondering if anyone has found a weatherproof cover that would work? I live in MN so some pretty wide temp ranges (I am willing to risk it outside for temperature) but since it isn’t weatherproof want something to cover it. Oh - and it can’t be massive because I want it to look normal and I don’t have a lot of space on the side of my garage door opening. Maybe ideas in this thread help? I’m looking to install a keypad outside in a very exposed area (Southern California, so water/wind/dust, but no freezing). Are there any weatherproof options? Are any of them really ruggedized? Yes! Thanks I bought the Arlington 5x5x1 box. Now I have to get to know SHM and the @RBoy config to use it to open my garage doors, change the mode on the hub as well as exit delays for the kids when they want to leave and use the keypad. I would be worried about battery performance in the cold. Might work in the summer but not in the winter. Take a look at SHM Delay and keep that keypad indoors. We will see I guess. I need it outside for the kids to get through the garage. I will try Li-Ion batteries to see if that helps in the winter. But if they only last a couple of weeks it might be short lived! Surprisingly enough, NiCAD have a better discharge at low temps than LiON do. It’s not a case of lasting longer, it’s whether the batteries will discharge enough energy to work the keypad. And if they fall-off you would have no way of knowing until it’s too late. You say you need it outside for the kids to get through the garage. Have you considered an outdoor remote garage door opener and then putting the keypad inside the garage? Or, have you considered a hard-wired solution rather than the Iris keypad? I would just hate to see your kids locked out of the garage on the coldest day of the year since the batteries on a keypad died with no warning. Interesting on the NiCAD. And good to know! I do have a Yale T1L on the front door, so they always have a way to get in. Do you have a recommendation on a hard wired keypad that is zwave? That would be IDEAL, but I had no idea such a thing might exist! Do you have a recommendation on a hard wired keypad that is zwave? I’ve had it on my list to try the keypad but haven’t gotten to it. The keypad has 2 batteries so it’s a little trickier. work like a relay that is NO or NC based on your application. So, basically, when a correct code is entered, the relay closes for a preset time. You can detect that relay closure with a normal contact sensor (with exposed contacts) like the monoprice contact sensor or a contact sensor device like ST_Anything with a microcontroller board. Now, that is a LOT more complicated than a simple Z-wave device and it doesn’t allow you to modify the users access code remotely. 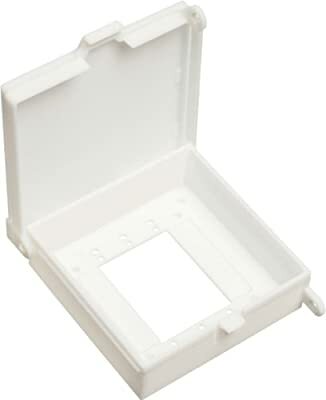 But it is mains powered and weatherproof out of the box. They also other options that read RFID cards/fobs for easier access. Some have settings to require card/fob + code together to open. I’ve been looking at using one to add a keypad outside my garage as well. Might be something worth looking at if your “electronically inclined”.